The Income Tax Department on 10 December seized Rs 24 crore cash - in new notes - in Vellore. This seizure marked the biggest haul of cash and gold post demonetistion, in which over Rs 142 crore unaccounted assets have been recovered in tax operations so far. Officials said the fresh seizure of new currency, in Rs 2000 notes, was made by the sleuths from a car in Vellore on the insistence of the accused currently being interrogated in the case. With this amount, the total seizure in the case has now gone upto Rs 166 crore in a single case. 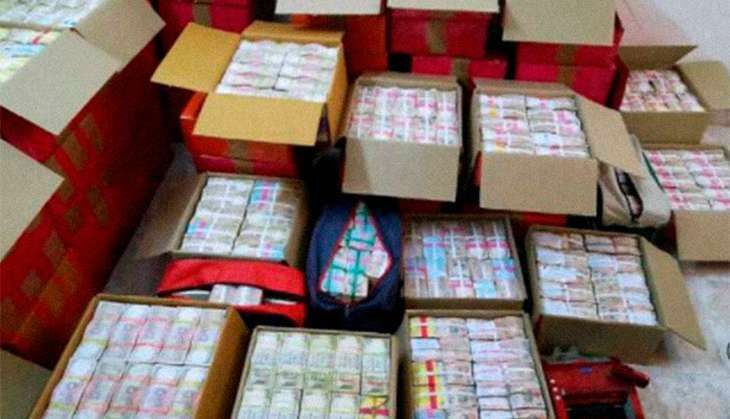 The department had seized Rs 142 crore undisclosed assets - that includes about Rs 10 crore in new notes and gold bars weighing 127 kg -- during searches at multiple locations in Chennai, for the last two days, to check tax evasion. This largest seizure of new currency notes in the country, after the old Rs 500/1,000 notes were scrapped on 8 November, was launched on Thursday on eight premises of a group engaged in sand mining in Tamil Nadu. "The group has sand mining licence for the entire state of Tamil Nadu. Eight premises (six residential and two offices) were covered in the search. During the search, Rs 96.89 crore cash in old high denomination notes and Rs 9.63 crore in new Rs 2000 currency notes along with gold weighing 127 kg worth approximately Rs 36.29 crore were found and seized, as unaccounted assets," the Central Board of Direct Taxes, policy-making body for the I-T department, had said in a statement issued in Delhi. It had added that the searches are "still in progress at four out of the total 8 premises and more specific details including modus operandi would emerge after examination of the documents and other evidence detected during the search". Officials had said S Reddy, a contractor working with the state government, has claimed the entire money and the gold as his own and is being questioned along with few other people. A senior department official said this seizure of gold and cash was "an unprecedented amount that the tax department has seized in recent times". The department, the officials said, carried out the searches based on intelligence inputs about the activities of Reddy and few others for the last few days. Officials said the agency was investigating how the new notes in such a large quantity were stashed by the individual. The bundles of the new Rs 2,000, that were seized, had no banking slips on the them and were jumbled up to mislead investigators, they said. The officials said a number of documents related to financial transactions, entries of gold sale and records of sale/purchase have also been seized by the tax sleuths. "He (Reddy) is a contractor working with the state government.He is claiming the entire cash and gold to be his own. Further probe is on," they had said.